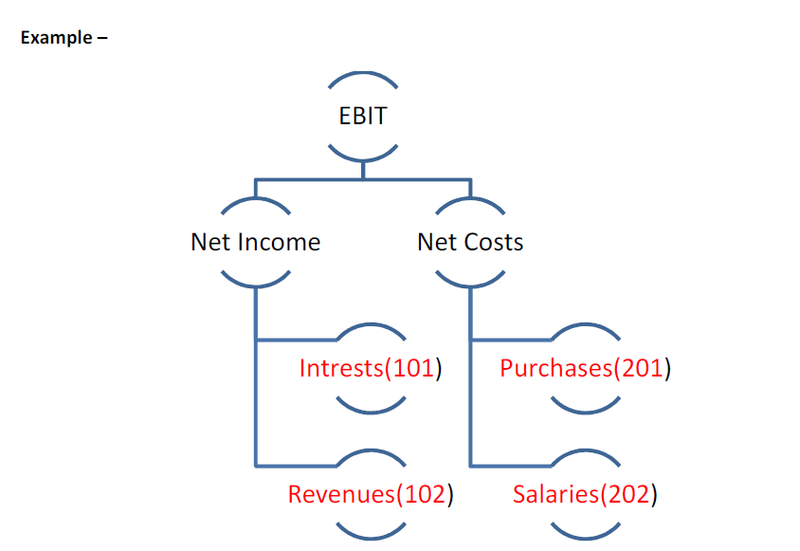 P&L Statements in BI tools are not as simple as they sound, since in most of the BI tools hierarchies are rendered in a way that children are below the parent and not up-side down. This can be resolved by creating intermediate bridge table, basically a many-many cardinality table. Below is the solution which can be used to create a P&L report in any BI tools, which involves creating two additional tables in the existing data warehouse or data mart to be used for reporting. P&L Dimension – This table basically holds the Id’s of the account groups which are to be included in the P&L Statement. There can be a additional field for setting up the sequence of lines in P&L report. 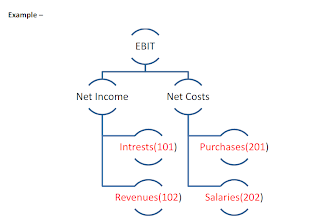 Account Bridge – This is very crucial and key table since this table will contain all the leaf accounts for account group included in P&L Dimension. So as an example if there are total 200 accounts in General Ledger then the top line group of P&L will contain individual lines for all leaf accounts. Here, for simplicity of understanding only few accounts are included, in real world scenarios, there can be more than 2000 leaf accounts. So, as shown in the example the leaf accounts are 101, 102, 201 and 202. In part 2, I will describe in detail how the bridge table and P&L dimensions can be created in the cubes in SSAS. Mehul Thakkar, Oslo, Norway. Picture Window theme. Theme images by sebastian-julian. Powered by Blogger.